PRESENT starts off with multi-layered ambient piece "Spreewald," but Sun Electric has always had tricks up its sleeve. "Stimpak," for instance, starts to twinkle with some subdued breaks, while "Wassa" shines just as brightly. But, shaking up the situation, the heavily electronic "Eya" sends robot lasers to raze the earth. "Parallax" gets back to some mid-tempo mellow techno, with some treated Hindi samples lurking in the background, and "Quaila" gets back to sunny Ibiza territory. "Cristal Bollore" and "Uschba" edge back into some icy ambiance, while "Goldstuck" brings in the bleeps and the thumps, and polishes them until they're shiny and glistening. The snares on "Waitati Post" have a dancehall influence, though the melody hints at something slightly more abstract. But the brighest star on PRESENT would be the glowing "Tassajara," which combines the blissful with the clattering, off-kilter percussion to fantastic effect. A present for us all! Amazing electronic music from one of the pioneers of the ambient techno genre. 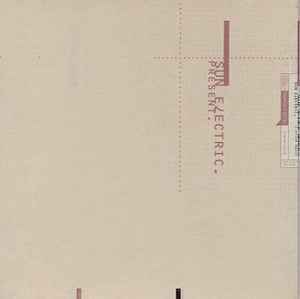 Every bit as good as any of the luminaries on Warp, Sun Electric unfortunately never really hit it as big as they did, but they were (and are) very deserving of praise. Present is my favorite album of theirs and shows them at their peak. From tripped out dubby beats to straightforward 4 on the floor to pristine, sparkling ambient, this album truly has it all and should be in every electronic music fan's collection. Can't recommend it enough.